Tapscott, Horace Elva (b Houston, 6 April 1934; d Los Angeles, 27 February 1999). Pianist, composer, bandleader, and social activist. Began piano studies at six and trombone two years later. Moved with his family to Los Angeles in 1943, and was enveloped in the Central Avenue scene. Studied with Samuel Browne at Jefferson High School, where he played with alto saxophonist Frank Morgan. Private tutelage with Lloyd Reese followed, and mentoring by Gerald Wilson, Melba Liston, and composer William Grant Still. Friends included Don Cherry, Billy Higgins, and Larance Marable. Worked with Gerald Wilson’s orchestra before graduating from Jefferson in 1952. Enlisted in the air force in 1953, playing in the Ft. Warren band in Wyoming, until his discharge in 1957. Joined Lionel Hampton’s band in 1959, and toured until early 1961, at times sitting in on piano and arranging charts. By the early sixties piano had become Tapscott’s exclusive instrument, forced by persistent dental problems. At the end of 1961 he formed the Underground Musicians Association (UGMA), ten years later evolving into the Union of God’s Musicians and Artists Ascension (UGMAA) with the Pan Afrikan Peoples Arkestra (PAPA) as one of its components. Over the years some three hundred artists were involved, including Arthur Blythe, Everett Brown, Jr., Kamau Daáood, Azar Lawrence, Roberto Miranda, Butch Morris, Wilber Morris, Sonship Theus, and Dwight Trible. Fusing art with social activism, the Arkestra developed and preserved black music and art within their community, performing on street corners, in parks, schools, churches, senior homes, social facilities and gathering spots, arts centers, and at political rallies. Although its activities tapered off by the early 1980s, the Arkestra continued performing into the 21stcentury. Tapscott’s music ran the gamut, from free-form improvisation to folk songs and spirituals. The content, structure, and stylings of many pieces drew from the problems and routines of community life. He translated these into complex rhythmic patterns, crashing dissonances, and bittersweet melodies, using the entire range and even all the material elements (wood, strings, metal, ivories) of the piano. He composed for solo piano and small groups, the Arkestra and its choir, and even for symphony orchestra in his magnum opus, Ancestral Echoes. He was attracted to dark ostinati and a heavy bottom sound, as in “The Giant Is Awakened,” “The Dark Tree,” “Thoughts of Dar Es Salaam,” and “To the Great House.” Even when dealing with older material, such as Strayhorn’s “Lush Life,” or favored tunes from the bop era, like “Oleo” and “Now’s the Time,” Tapscott found a way to heavily root the compositions, while still exploring unique harmonic extensions. 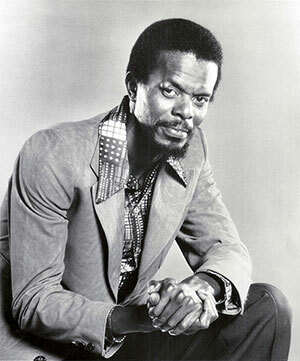 During the 1960s Tapscott recorded with Onzy Matthews, Lou Blackburn, arranged and conducted two albums for singer and subsequent Black Panther Party leader Elaine Brown, composed and conducted the music for Sonny Criss’s Sonny’sDream (Birth of the New Cool)(1968, Prestige). His first album as leader appeared one year later,The Giant Is Awakened(Flying Dutchman), also Arthur Blythe’s recording debut. From 1978 through the mid 1980s he recorded for Interplay and Nimbus Records, labels formed by enthusiasts for Tapscott’s music. He led the Arkestra on three albums, recorded many solo albums (eleven issued to date), one duo with drummer Everett Brown, Jr., four trio discs, including the two-part live performance at the Lobero Theater in Santa Barbara, California, and one sextet album. Landmark recordings for hat ART (The Dark Tree) followed in 1989, and then two CDs for Arabesque in the 1990s. As of 2010, Nimbus West Records continues to release additional sessions and live performances.